Myasthenia gravis is an autoimmune disease of the neuromuscular junction, the contact point between nerves and muscles. The muscles under our voluntary control become easily tired and weak because there is a problem with how the nerves stimulate the contraction of muscles. For some unknown reason, the body's immune system, which normally helps fight infections, attacks the acetylcholine receptors found on muscles. Myasthenia gravis is almost twice as common in women as in men. It is most commonly found in women under 40 and men over 60. For some people, myasthenia gravis can go into remission and they do not need medicines. The remission can be temporary or permanent. Disorders of the eye such as the diplopia (double vision), ptosis (eyelid weakness). Disorders of the facial muscles such as difficulty chewing, swallowing and talking. Disorders of the palatal and pharyngeal muscle weakness, so that the patient is not able to swallow and it is the risk of aspiration. Weakness of neck muscles so the patient's head is hard upright. Weakness of the respiratory muscles such as the diaphragm and intercostal muscles resulted in disruption of breathing. Myasthenia crisis, caused by deficiency of acetylcholine, a condition caused by changes or drug dependence, emotional and physical stress, infection or surgery. Cholinergic crisis, caused by the excess of acetylcholine as a result of an overdose of medication / toxic effects of the administration of acetylcholine. Basic abnormality in myasthenia gravis is a defect in the transmission of nerve impulses into the muscle cells due to loss of ability or loss of normal membrane receptors postsynapse the neuromuscular connection. The study showed a decrease in 70% to 90% of acetylcholine receptors at the neuromuscular connection, on each individual. Myasthenia gravis is an autoimmune disease that is considered to be directly against the acetylcholine receptor (ACHR) which damage the neuromuscular transmission. In myasthenia gravis, the immune system produces antibodies that attack one type of receptor on the muscle side of the neuromuscular junction-receptors that respond to the neurotransmitter acetylcholine. As a result, communication between nerve and muscle cells disrupted. What causes the body to attack its own acetylcholine-receptor-unknown autoimmune reaction. According to one theory, damage to the thymus gland may be involved. In the thymus gland, certain cells of the immune system to learn how to distinguish between the body and foreign substances. The thymus gland also contains muscle cells (myocytes) with acetylcholine receptors. For unknown reasons, the thymus gland can instruct cells of the immune system to produce antibodies that attack the acetylcholine receptors. People can inherit a predisposition to autoimmune disorders. about 65% of people who have myasthenia gravis have an enlarged thymus gland, and about 10% had a tumor of the thymus gland (thymoma). Approximately half of thymomas are cancer (malignant). Some people with the disorder do not have antibodies to acetylcholine receptors but have antibodies against the enzyme involved in the formation of the neuromuscular junction instead. These people may require different treatment. 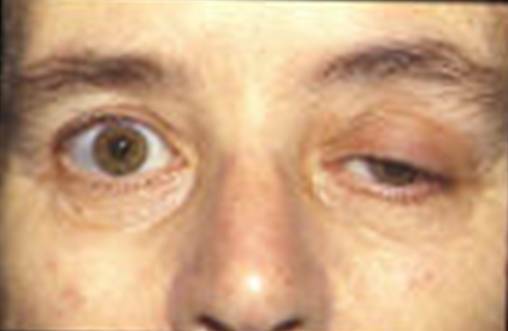 Myasthenia gravis is a serious disorder causing progressive muscle weakness. This disease is common in people of all ages. But, it is more common in females below 40 years and in males above 60 years of age. Several myasthenia gravis drugs including neostigmine, pyridostigmine, cyclosoprinetc are recommended but they have severe side effects. Greveton, herbal product offered by Herbs Solutions By Nature is the best treatment available for improving quality of life. Thymectomy is also sometimes done but it is a highly invasive surgical procedure.